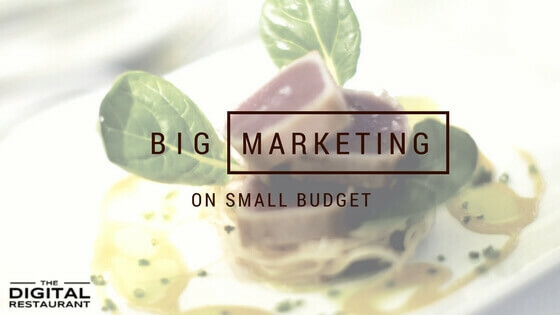 Are you trying to market your restaurant online, but do not have a big marketing budget? Do you believe in the old adage – it takes money to make money. Maybe you feel like you are out of luck being a small restaurant without a big budget compared to some of your big chain competitors? Don’t worry! The rules of marketing have been changing fast. The effectiveness of digital marketing channels is growing fast compared to traditional marketing. Many small businesses have been able to succeed with relatively small marketing budgets compared to big business competitors. Before we dive into marketing ideas, be warned that marketing your restaurant without having a clear understanding of your target market is just a waste of time and money. If you are a restaurant that is already open for business, the first thing is to claim your business location on Google My Business. Once you claim your listing, complete your profile links to your restaurant website. Google recently added a new feature allowing restaurants to provide URL links for ordering and reservations. Just like a physical location, a restaurant website is a must for online presence. Google is the most popular search on the Internet. You can rank higher on Google for relevant keywords your potential customers would search for. This will help get more visitors to your website. One way of doing this is to hire an SEO marketing company or freelancers or to learn it yourself. Better yet, you could take advantage of a restaurant marketing agency offering SEO services, like The Digital Restaurant. Facebook is the first social platform your restaurant should be leveraging to engage with existing and potential customers. Regularly posting food images and relevant events are ways to be on top of your customers’ minds. As a restaurant, you should be growing your customer email list through email signups, online ordering, guest loyalty program and instore signups. Email acquisition though organic efforts provide the cheapest way to build your email database. Remarketing to your email list is very effective when coupled with coupon offers and promotions. Web push notification messaging is a relatively new technology compared to text messaging and mobile push notifications. With web notifications, you can engage with your website visitors. This is a very organic effort to build an audience from your website visitors. To get started, you have to enable web notifications by selecting a push notification provider such as onesignal, pushcrew, etc. Contact us to learn more about how to implement web push technology on your restaurant website. Customer feedback is a marketing tool that is free, yet very effective in building repeat business and attracts new business. Have a process in the restaurant to solicit and listen to customer feedback from all channels – dine-in, online ordering, and catering. Use the customer feedback to build loyal customers base, positive ratings online apart from improving restaurant operations. Reputation building actively should be part of your restaurant marketing plan. The goal should be to build and maintain a 4+ star rating on online review platforms such as Google, Facebook, Yelp, Tripadvisor, etc. Studies have shown that a difference in star rating impacts restaurant revenues directly, as new customers make dining decisions based on ratings and reviews. If you offer food delivery, offer free delivery to boost slow segments for your restaurant or provide a competitive difference on busy food delivery days such as game days and local events. Facebook advertising provides one of the cheapest options to reach local customers for your restaurant. As an example, for just $10 per day for 10 days, your restaurant can reach over 10,000 people with a 10-mile radius. Compare that to print or other advertising, Facebook provides a really cost-effective option. Contact us for a consultation on restaurant advertising strategy for your restaurant that provides the highest returns on your ad dollars. If your restaurant offers catering services, cold calling local businesses and soliciting catering orders is a sure shot way to add catering customers for your business. The first step is to make a list of local business within your local area. Call the office assistant and introduce as local business. Offer to drop off some free food (pizza, pasta tray) along with catering menu and coupons. This is a simple strategy to grow your catering business. Since the average catering order is much higher that dining or carry out orders, the returns from cold calling efforts has high conversion rate and is well worth it. 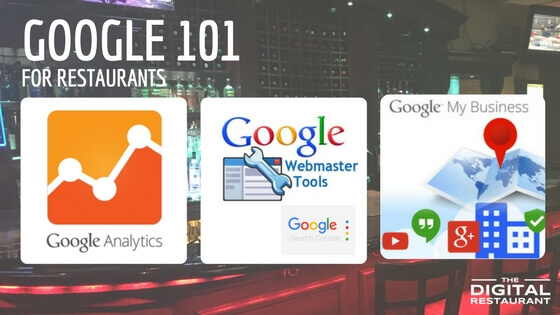 Digital marketing for small restaurants doesn’t have to cost tons of money. It just requires some creativity and consistent effort to produce results. There is a trade-off: if you aren’t willing to spend big bucks, you will have to put in your time and energy to see the intended results.